The Fiji Broadcasting Corporation along with the Women in Business has hit back at the derogatory comment made by former provisional candidate of the NFP and party supporter Feroz Gulam Mohammed. Mohammed called veteran radio personality Shammi Lochan the equivalent of a lying female dog on his Facebook account following her radio interview with NFP leader, Professor Biman Prasad. 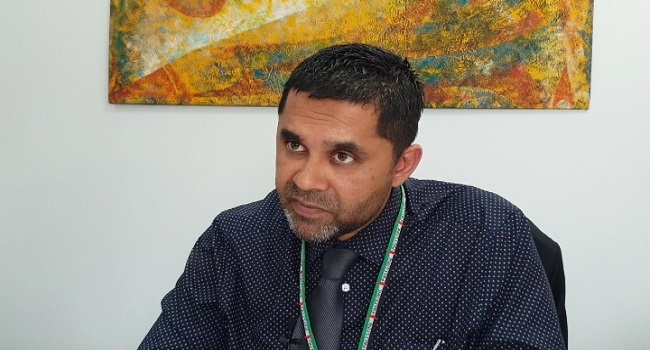 Refusing to sit back and allow social media trolls to make defamatory comments, the Fiji Broadcasting Corporation has taken legal action against Feroz Gulam Mohammed and also reported the matter to Police. Chief Executive, Riyaz Sayed-Khaiyum says this is an offensive, insulting and disgusting attack on women in general. The FBC is also calling on the NFP to stand up against such statements. NFP Leader Professor Biman Prasad has made it clear Feroz is no longer a candidate of the party and they do not want to talk about his insults. Mohammed was unreachable for a comment. Lochan is a well-established name in the radio industry and a member of ‘Women in Business’, whose President, Dr Nur Bano Ali has labelled these comments by Feroz as attacks on a women’s dignity and respectability. Fiji Women’s Crisis Centre, Coordinator has also condemned the attacks by Feroz. Dr Ali says this behaviour by Feroz displays a caveman’s mentality and Fiji has gone way beyond that, hence, is calling on every Fijian to reject such disgusting comments.